Slient ice cream Plastic Jar Food Blenders YX-1731 is our famous model. If you are on the market for durable while cost-effecitve and muti-function Electric Food Blenders, you should not lose the chance to learn more about this Push Button Food Blenders. 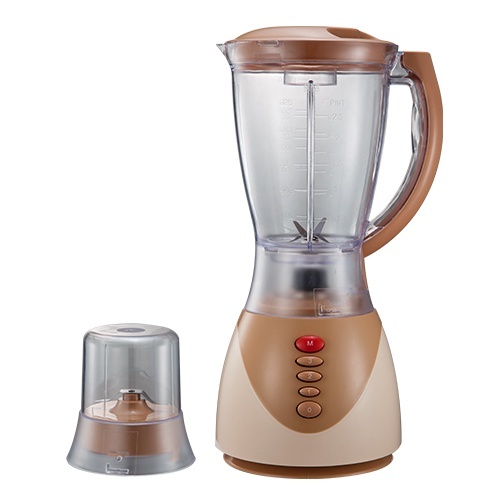 This Food Blenders are 2 in 1 design, 1.5L plastic jar food blender with grinder. You not only can blend juicer, milkshark, puree, baby food, but also can grind ingredients into powder. Besides, this Baby Food Blender has 4 speeds and the colors can be customized. Moreover, we can print your own logo on the products. Looking for ideal Top Rated Slient Food Processor Blender Manufacturer & supplier ? We have a wide selection at great prices to help you get creative. All the Ice Cream Food Processor Blender are quality guaranteed. We are China Origin Factory of Slient Ice Cream Food Processor Blender. If you have any question, please feel free to contact us.